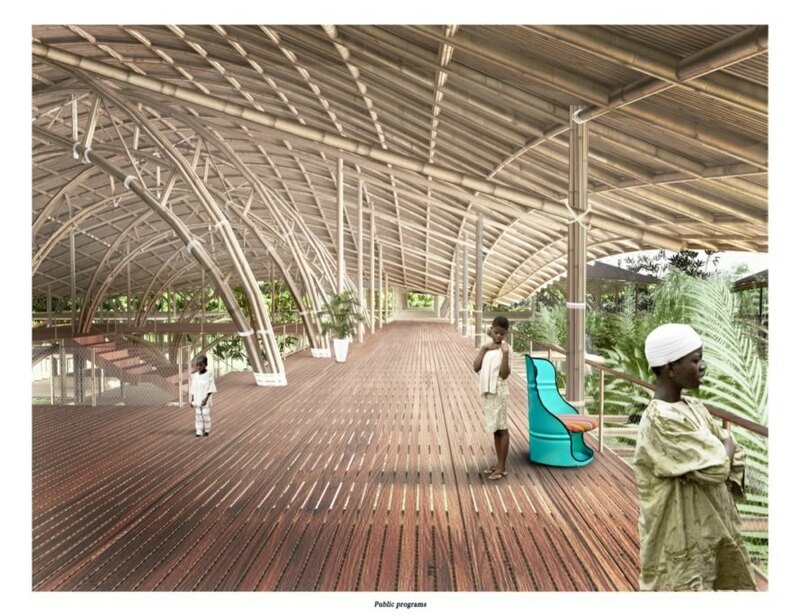 In Lagos, Nigeria, one of the world’s fastest growing cities, a visionary design has been proposed to rethink waste and provide much-needed urban green space atop the metropolis’ former Olusosun Landfill. 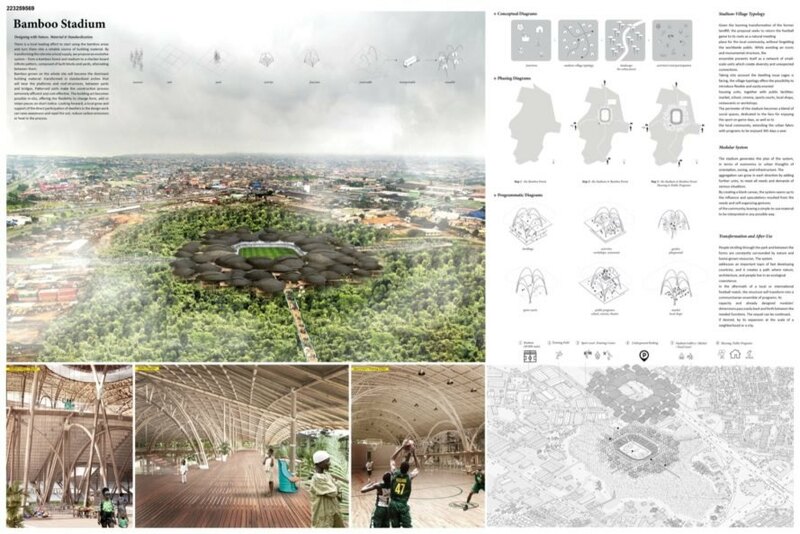 The proposal, titled Bamboo Stadium, is the winner of ‘Waste: Multipurpose Stadium’, the latest open ideas architecture competition launched by architectural research initiative arch out loud. The sustainable design explores transforming the brownfield into a bamboo forest that would provide the raw material for building a future stadium and community gathering space on-site. According to arch out loud, Lagos had, until recently, managed waste by relocating it to the 100-acre Olusosun landfill opened in 1992. However, due to the metropolis’ rapid population growth, the once-remote landfill has now become edged in by urban development and was shut down earlier this year and rezoned for redevelopment as a public park by the local government. The WASTE Competition sought to explore new redevelopment ideas and how stadium typology could serve the surrounding community. Iulia Dorobanțu and Lucas Monnereau of ENSA Paris Belleville submitted the competition-winning Bamboo Stadium design, which proposes turning the landfill into a community meeting space fitted with multipurpose and adaptable modular structures that can cater to housing and public facilities such as a marketplace, school, cinema, sport courts, shops, restaurants, and workshops. The stadium would therefore not only serve as a platform for local and international football matches, but could also be used year-round by the community for other purposes. 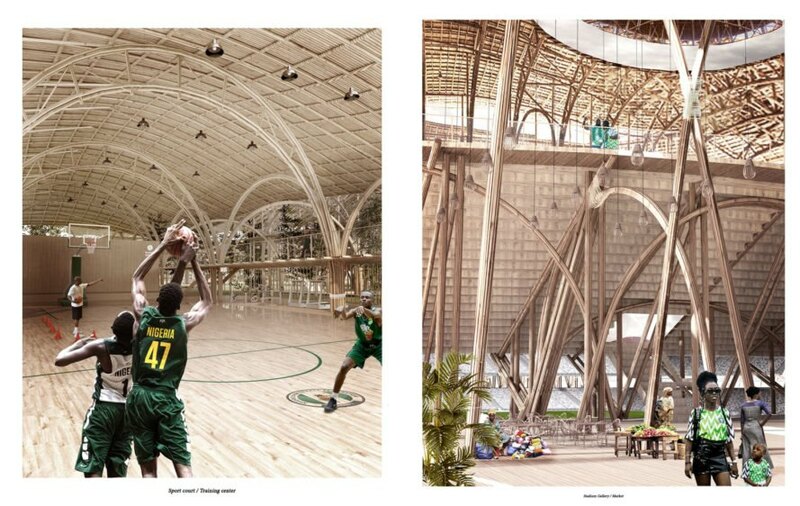 Iulia Dorobanțu and Lucas Monnereau of ENSA Paris Belleville have imagined this Bamboo Stadium for a former landfill site in Lagos. The project was submitted to the Waste: Multipurpose Stadium competition and won. The proposal suggests transforming a brownfield into a bamboo forest that will later provide materials for a stadium and community hub. The competition-winning project addresses how to sustainably transform brownfields. The project is meant to grow bamboo for future sustainable structures. The Bamboo Stadium will stand on a former landfill. The community space will be comprised of modular structures. The site would begin as a bamboo forest. Many different programs would be included, such as housing, a marketplace, a school, a cinema, sport courts, restaurants and more.